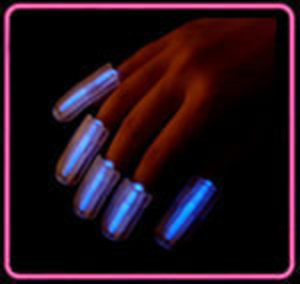 Glow Fingers are a great addition to any night out or party and look great!! They are easy to use and are activated by gently bending the glow stick and then placing inside the finger attachment, which can then be slid over the top of the finger using the attachment provided. These glow Finger Nails are freshly sealed and carry a 3 year shelf life. They are DBP Free and comply with EU Standards.